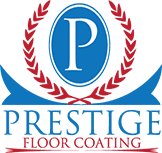 At Prestige Floor Coating, you have all the benefits of being in a franchise, such as structure, a support system, training and tips to run your business, but without having to pay royalties or attend mandatory meetings spanning the globe. For a minimal investment, our Licensed Dealers will receive extensive training in the coatings industry, and be equipped with the tools necessary to create and grow their business from the ground up with unlimited earning potential in a niche market without much competition in a recession proof industry. We are looking for motivated people driven to succeed, people like you! After 10 years, only 16 percent of existing start-ups are still in business. With franchises, it’s 90 percent. A franchise is one of the less risky type of business available. More than 80% of franchisees are successful. Franchises have the highest success rates and the lowest failure rates of any business in North America today! Over 95% of all franchises are still in business after five years because they all come with built-in proven success formulas. According to the U.S. Department of Commerce, franchise businesses are exponentially more likely to succeed than individual new start-ups, particularly if you look at the figures over a five or seven year period. According to Department of Commerce figures, after seven years 91% of new franchises are still in business, as compared to only 20% of individual new start-up businesses. According to the U.S. Department of Commerce, 95% of franchises are still in business after 5 years. The likelihood a self-launched business will still be in business after 5 years is 47%. Buying a franchise more than doubles your chance to survive as a business owner. And, by picking the right franchise, your chances can improve beyond 95%. * All information gathered from U.S. Census Bureau, National Association of Homebuilders and U.S. Department of Commerce. Interested in becoming a Prestige Floor Coating Licensed Dealer? Contact us today to learn more about our dealer program, our products, and what sets us apart from the competition. Call us at 866-380-COAT(2628) or fill out a contact form and we will be in contact with you shortly.